The Big Reveal: Stavna Ballet's Rebrand — Campfire & Co. There's nothing quite like a good Before and After. (Fixer Upper, anyone?) Transformations are so much fun and sometimes even more special than creating something from scratch. This is exactly what we get to focus on when we help a business with a rebrand. The process of transforming an organization's brand into a more accurate representation of who they really are can feel like a superpower. We recently wrapped up a project that does just that for Stavna Ballet. This growing ballet company was in need of a more polished look to reach their full potential as a brand. Just like that 1970's rancher with the shag carpet and tiny kitchen that Chip and Joanna turn into someone's dream home. Sort of. The founder of Stavna Ballet, Shannon McConville came to us knowing she needed a new website, and her very savvy Board of Directors recommended a full rebrand in order to create a truly cohesive identity for the non-profit ballet company. Stavna Ballet had quickly grown since its opening 5 years ago, starting as a professional ballet company and now offering a multi-level dance academy and a community outreach program. Stavna was well positioned to gain a lot from a brand transformation. All of the ingredients were there, they just needed help combining them into the perfect recipe. We started by evolving Stavna's existing brand into a more polished, refined version of its former self, one that embodied their commitment to artistic creation and community involvement. We considered their current script typeface and hot pink color accents and moved towards a more modern typeface, integrating softer, more sophisticated hues into their palette. The Stavna board members were hoping to hold on to the iconic Stavna dancer, which was based off of an original photograph of Shannon taken back when she first opened the studio. We adapted the existing dancer and gave her a lighter, more whimsical feel to add warmth and character to their sleek new logo. We rounded out the final rebrand with a few watercolor patterns to add dimension and texture. The existing brand identity for Stavna Ballet had relied on a single logo to represent all of the services they offer. In addition to choreographing their own professional dance performances through the professional ballet company Stavna Ballet, they also offer a dance academy to a wide range of students (Stavna Academy) and a plethora of community outreach programs aimed at using dance and movement to inspire young minds (Stavna Reach). We reworked their brand identity in order to make it more flexible, and to allow the overarching Stavna Ballet to have an individual mark for each branch of their organization. Now there's cohesion, dimension, and beauty to the entire collection of brand marks. Not to mention, it's so much easier to understand! After completing Stavna's new brand guide, we collaborated with Elizabeth Sobka of South of Belmar to design and develop a striking website that showcased the impressive breadth of work that Stavna Ballet was accomplishing. 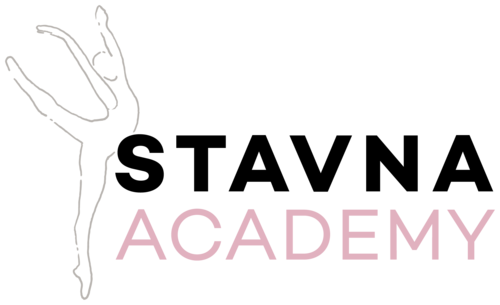 In addition to showcasing their many programs, it was also important that the website create a distinct hierarchy of information, especially within the Academy section. A large amount of important information needed to be organized and clearly labeled so it was easy for parents to find what they need and get their kids registered seamlessly. Lastly, promoting events was a big goal of Stavna's for the new website. Adding an easy-to-update calendar allowed more of Stavna's audience to be aware of the many programs and performances that the organization hosts. A shiny new website dancing on your computer screen! Lastly, we wrapped up our project by helping Shannon and her staff set up G Suite. It was time for the organization to show off its professionalism and have that reflected in professional e-mail accounts tied to their custom domain. No more gmail.com accounts here! Like the metaphorical little duckling turning into a graceful swan, we couldn't be more pleased with the transformation of the brand and web presence. Working with individuals who are passionate about what they do makes our jobs as designers so much easier, and Stavna couldn't have been a more perfect client. Congrats to Shannon + the Stavna team on a beautiful new website and brand!